From a letter on a website about John (www.ci.berkeley.ca.us/vvm/waller) I extracted the following about John. “It is through the enrichment of John’s acquaintance that we are all that much stronger. I of course tell stories about John and I in scouts and on Prince Street. We all have a good laugh and think of him in the greatest way. At first, I thought it would have been easier for everyone here if he hadn’t had such a positive charisma. But one day while comforting Donna ( and myself) by telling stories about J.B. it dawned on me that John left us a lesson in life and a —-full of cherished memories. —-and through my stories it dawned on me that John just plain enjoyed life. John once told me he wanted to make people laugh, that was his goal. I now laugh through tears of sorrow. I am not sure of the Author’s name. It looks like Bingen. In a letter home, John wrote that he felt sorry for the Vietnamese working in the field. He said the NVA , the VC and the Americans would come and take his rice that he worked so hard to plant. He said he wished that all three would leave Vietnam and let a lot of Peace Corps people in. Instead he said that when the war was over the American government would pour Billions of dollars into the country so the Governor could build him a new house with a gold roof. To be so young and yet so wise. 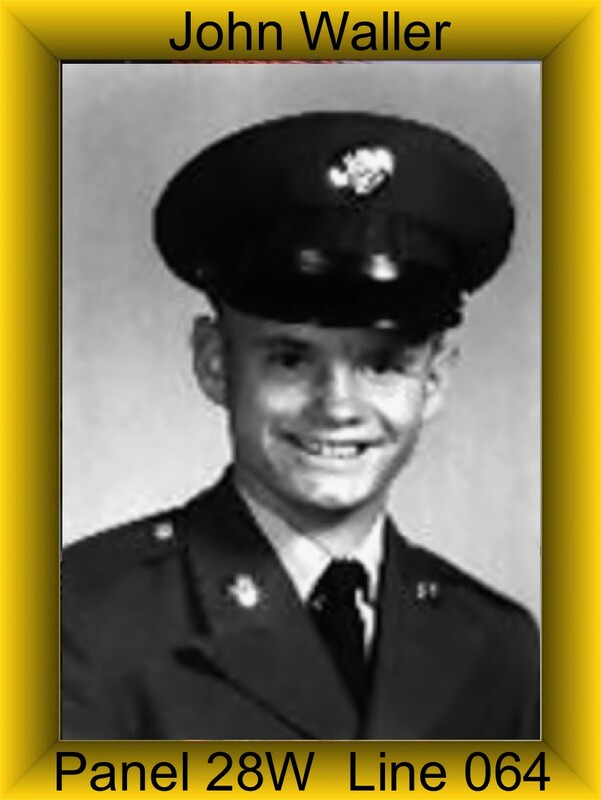 John was assigned to Charlie Troop 1st Squadron 9th Cavalry 1st Cavalry Division (AM) on February 10, 1968 and was Killed In Action on March 27, 1969. John was an a Crew Chief on an UH-1H Helicopter. Through his heroic actions in Vietnam John was awarded the Purple Heart, the Air Medal, the National Defense Service Medal, the Vietnam Campaign Medal, the Vietnam Service Medal and a set of Flight Wings. A comment was posted about John. I thought I would rewrite it and make it part of this post. Donald Sargent served with John in Charlie Troop. I knew Littlejohn very well in Nam. He actually taught me to become a crew chief. I flew with him and his sister ships. I actually went out that day to pick up Littlejohn and a crew. Littlejohn has been an inspiration for me for over 40 years. I could not read or write at that time and he kept insisting that I get my GED and education. The day he died I saw the bag next to me and I said how to live a life for two. To this day I finished a BA,MA,MS,PhyD and LPC. In all my thesis I have always acknowledged if it were not for Littlejohn I would not be where I am. To this day I work as a psychologist with the VA helping veterans. I cannot express what Littlejohn meant to me. To this day I always say a prayer every night for Littlejohn and crew that were killed that day. I do know if his parents are still alive, but I wanted to let them know he was my inspirations and mentor and still is. I knew Littlejohn very well in the Nam. He actually taught me to become a crew chief. I flew with him and his sister ships. I actually went out that day to pick up Littlejohn and a crew. Littlejohn has been an inspiration for me for over 40 years. I could not read or write at that time and he kept insisting that I get my GED and education. The day he died I saw the bag next to me and I said how to live a life for two. To this day I finished a BA,MA,MS.PhyD AND LPC. In all my thesis I have always acknowledged if it were not for Littlejohn I would not be where I am. To this day I work as a psychologist with VA helping veterans. I cannot express what Littlejohn meant to me. To this day I always say a prayer every night for Littlejohn and crew that were killed that day in Vietnam. I do not know if his parents are still alive, but I just wanted to let them know he was my inspiration and my mentor and still is. If you read this please contact me via email as I have a DVD about Charlie Troop that you may be interested in. PATRICK and do not have your e-mail. I am very interested in any information pertaining to our unit in Vietnam. Thank you. Did you get my last two emails. I just found this information again on my computer at work. I thought I had lost it but somehow found it again. If you could please contact me I would like to get more information about our unit. I did not get the last two e-mails.